The Christian Association of Nigeria in Osun State has filed a stay of execution against the judgment of an Osun State High Court which allowed the use of hijab in all public schools in the state. The Osun State Chairman of CAN, Rev. Elisha Ogundiya, who confirmed the action to our correspondent in Osogbo said the process was still on as at the time of filing this report. Ogundiya spoke briefly before the meeting of leadership of the CAN in the South West began. The meeting also had representatives of the national body of the CAN in attendance. 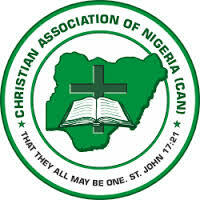 The chairmen of CAN in Ondo, Ogun and Oyo who spoke at the meeting said the entire Christian communities in their respective states were solidly in support of the Osun State branch in resisting the wearing of hijab in public schools. The Muslim Community in Osun State dragged the state government to court to enforce the use of hijab but CAN joined in the suit. However, Justice Jide Falola had on June 3 in his judgment said Muslim students should be allowed to wear hijab in all public schools without harassment because it was part of their fundamental rights.